Most truckers start off as, and remain company drivers. The reality is that after a few years of experience, you can find a great trucking company that will pay you as much driving a company truck as many owner operators (Unless specialized haulers...) make per year after expenses, minus the headaches. Most company drivers don't have to pay for tolls, scale tickets, maintenance, lumpers out of their pockets. Some companies however will required that you pay some or all of these things up front and you get reimbursed later. Some companies will give you expense money when you leave the terminal to handle expenses for those as needed. Others will issue the money electronically using a T-check or com-check. Many drivers will get advances and their paychecks issued in the same way. More on how trucker are paid. For the most part, the largest responsibilities of a company driver are delivering and picking up the freight on time, interacting professionally with the customers. Oh, and making sure that your weight distribution is legal. Also keeping your vehicle in good condition. Take it to the shop or truck wash when needed. The object is to always drive road ready safe vehicle. The DOT will be checking to make sure that you do. Company drivers of good companies can make a nice living with less amounts of stress (I mean compared to an Owner Op). To work with a good company you will need a good driving record and DAC report. If a company driver is responsible and does the job right he or she will do well. Note: Never blow off appointment times or schedules. People need to be able to depend on their schedules. Sometime operations in the company are planned based on appointment times of freight delivery or pick-up. If they used what called JIT (stands for just-in-time) warehousing your delivery could shut down an entire shift or possibly a plant depending on how long you goof off. Don't goof off. Now, will you be lied to about the time that you need to be there? Yes. Will they make YOU wait sometimes? Yes. These are the problems that government should make trucking companies and shippers/receivers solve or compensate drivers for, since they won't do it on their own instead of keep playing with hours of service. HOWEVER..... That should not make you try to retaliate by blowing off you appointments. You don't know when they really do need you there at the time expected. The truckers that don't care about their appointment times are expendable. Don't be that guy/gal. Your decision about whether to be a company driver or become an owner operator should take in to account more than how much money they earn. 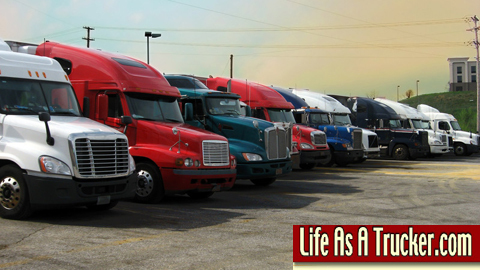 After reading about company drivers and owner operators, you have a better idea about which route you will want to go. I would advise being a company driver for at least a year before going Owner Op so that you can learn the trucking business and lifestyle more. Some truck drivers get paid hourly. Many of the hourly paid company truck drivers drive either locally or regionally. There is a pretty large gap in the rage of their pay within the same job descriptions especially when comparing some of the union jobs to non union truck driving jobs. The range can be all the way from $7 or $8 dollars up to $16 dollars for straight trucks depending on the company. Dept. of labor report of earning for hourly truck driving jobs. There is no quick on answer the question, "how much does a company driver make?" Especially not over the road company drivers. Many other questions must be asked to get a close to accurate figure. 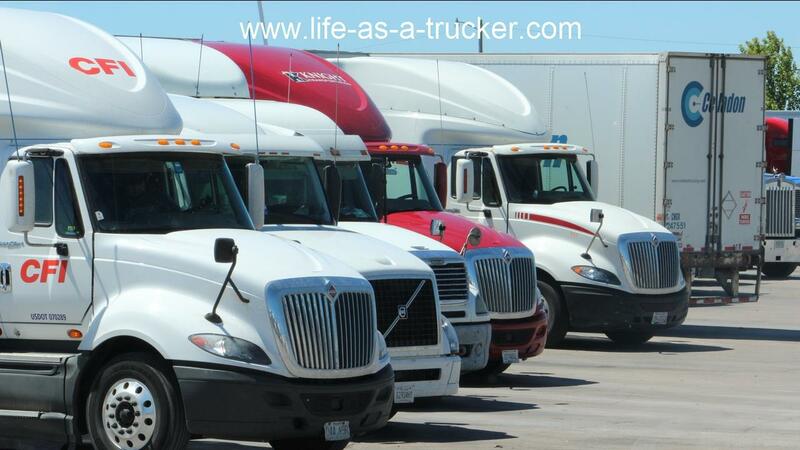 Plus you need to consider benefits and other factors when choosing a trucking company depending on what you need. A new company driver pulling a regular dry van hauling regular freight over the road can expect to get around $20,000 to $40,000. An experienced driver pulling regular dry van hauling regular freight over the road can expect to get around $35,000 to $55,000. An experienced driver pulling regular dry van hauling regular freight with an excellent driving record (which mean he or she could go to more selective companies can get $45,000 to $70,000. If you specialize for instance heavy hauling, low boys, household, cattle, hazardous materials, even refrigerated you can expect to get paid more. For top pay in your qualification range you must search for top paying trucking companies, they won't come to you! To get the most accurate figures though you can simply pick up your local newspaper and look at what is being advertised in your area. Of course all the trucking companies that hire in your area will not be in your local paper because most carriers are located where it is cost efficient but they do operate and hire in your area. To find these companies, you need to search online or visit your local truckstop and pick up trucking jobs magazines located in the front of the building, just inside the door or near the drivers area. Like I said there is a lot of variations. Medium sized trucking companies pay different amounts to drivers in different areas of the country. These trucking jobs are likely to be in your local newspaper or special employment papers. You will also see the conglomerates in local newspapers. What you won't see represented so much is the many, many small trucking companies. Don't just look in your local paper, that will contain less than 1 percent of trucking jobs available. Of course the pay amount for drivers will also vary based on if you are intra-state, regional or over the road. What we were talking about earlier is basically over the road trucking, which are the easiest jobs you will be able to get hired at as a new driver. Summary: All said and done a company drivers can make as much or more than an owner operator driving the same equipment and hauling regular freight, with the right company, if he or she keeps a clean driving record, find a good trucking company and get some experience. What is it like becoming an Owner Operator? What are the advantages of becoming a trucker? What are the disadvantages of becoming a trucker? Is it true that truckers are paid by the mile? is it true that a trucker can be paid by the miles? What to do if after delivering loads for owner operator, he does not pay me?